Fixin' sh*t up is our specialty! The folks at Mello Velo are your local bike experts—at your service! No appointment is necessary for service, but we understand your time is valuable. Appointments are available for those who need to schedule in advance. Minor repairs like repairing a tire or installing an accessory can usually be done while you wait. 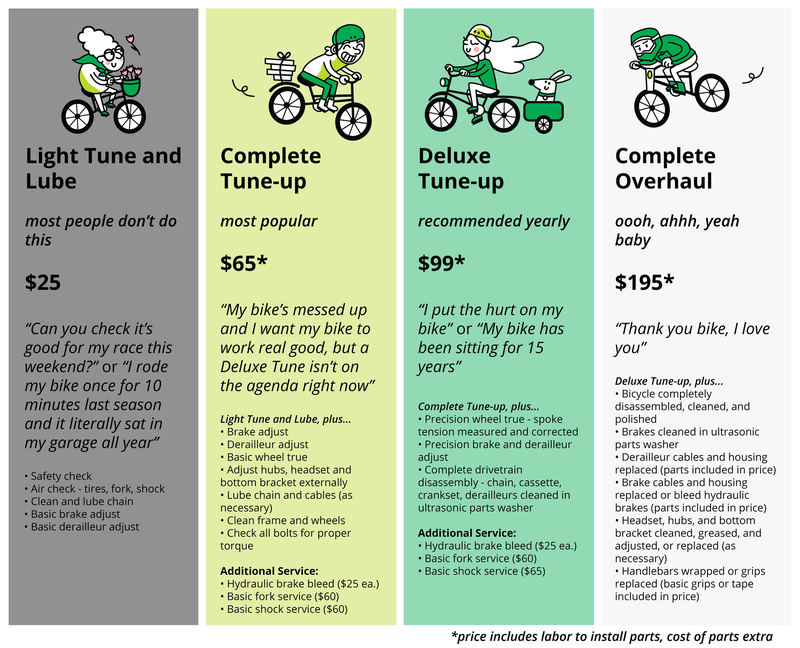 If your bike is in need of more major repair, we can usually fix it in a day or two. Quick repairs for flat tires, broken chains, brake cables, etc. Bring your bike on by! Repair estimates are always free.